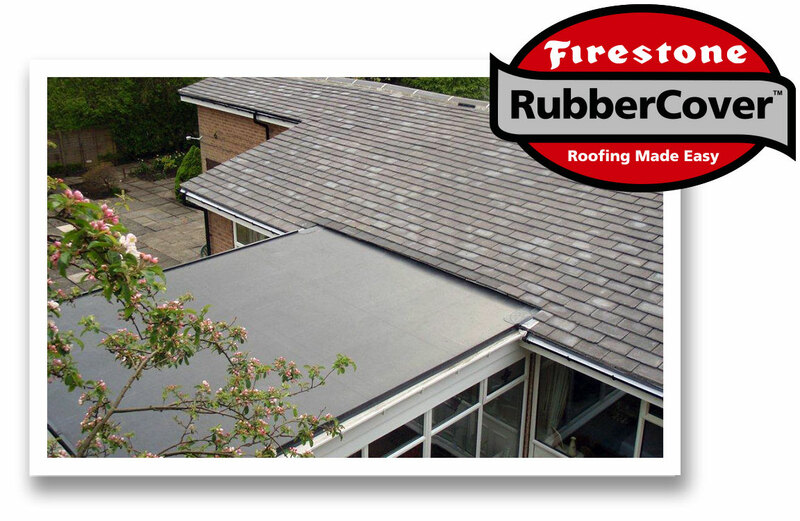 Firestone RubberCover roof membrane is the ultimate low-maintenance protection for small residential flat roofs and lean-to conservatories. Approved and tested to BBA standards, the seamless membrane has a life expectancy of more than 50 years. It looks perfectly natural and has smooth, clean finish that homeowners love. A completely watertight barrier that will stand the test of time. Firestone RubberCover EPDM is an extremely durable synthetic rubber roofing membrane that’s in use on hundreds of thousands of commercial and residential properties. 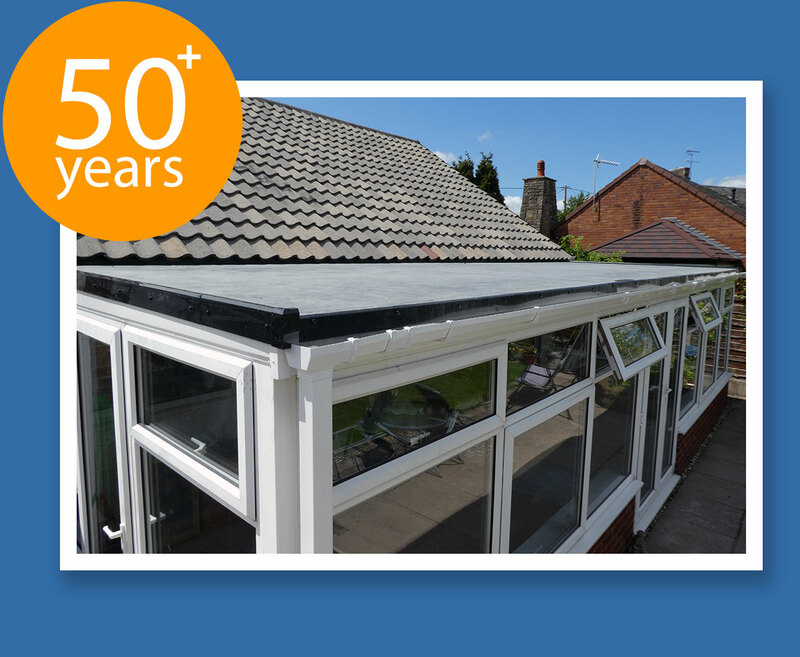 We love it and happily recommend it to our customers for use on extensions, verandas, dormers, porches, garages and low-pitch conservatories. On existing roofs, we cut the membrane to size and attach it to a new roof surface with bonding adhesive, flame-free and as one single piece. Firestone RubberCover membrane carries 10-year material warranty and offers long lasting protection against UV radiation, ozone, alkaline rain and extremes of temperature.